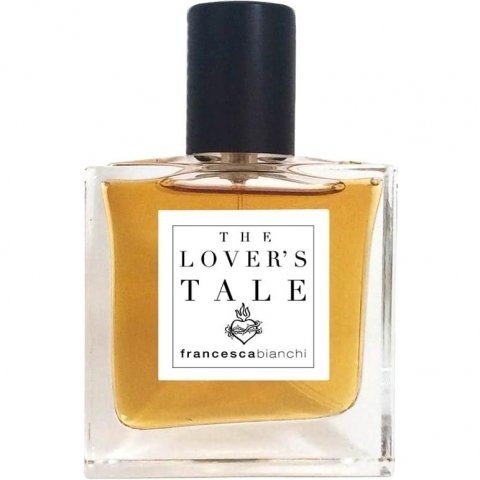 The Lover's Tale is a new perfume by Francesca Bianchi for women and men and was released in 2018. The scent is animal-leathery. Projection and longevity are above-average. It is still in production. ...and then you forgot again. never came one so correctly to you ´ran. Man, what did you have to be lonely for"
look in the mirror, kid! And don't forget the polishing." when the sign of the zodiac in the sky was "scapegoat"
and you were the first salesman. but: that was a long time ago. and Carmen Nebel how love works...finally. and again tells a long story. with into the last third. it's probably a rollover peach? Is happiness possibly rolling in front of your feet? what remains is faith, love, hope. Love is a bourgeois construct. Marie Antoinette entered the bathroom listlessly. Although the time of the water-shy baroque age had long since passed, she had never become a friend of bathing. This clean, meaningless smell of freshly washed skin could not irritate her. The King had no choice. Louis XVI probably stayed with one of his mistresses anyway. An exquisite scent was much better suited to direct the less beautiful smells of the body in the right direction than filthy water. Today she opted for a fragrance generously perfumed with Bibergeil. Maybe a little too much of a good thing, but who cared. She was the queen. At that time, however, she had no idea that such thoughts would soon become indifferent to her. On 1 August 1793, she was transferred by the revolutionaries to the Concierge prison, on 16 October, three years after her husband, the king, she was beheaded by the guillotine on the Place der la Concorde on the Place la Concorde. But on that day, a winter day in 1784, she still smelled of an incredibly opulent, honey-sweet mixture of floral notes, jasmine, powdery iris root, rose, of a little too much beaver horny, as perhaps already mentioned, and woody as well as leathery notes (because she carried the scent mainly on her gloves). Under these conditions she could confidently do without the annoying bath. You'd only notice the scent around them anyway. What Marie Antoinette couldn't have guessed apart from her disgraceful death: Exactly 225 years after her death, a talented perfumer, Francesca Bianchi, miraculously "re-founded" the queen's fragrance and hit the tone of Marie Antoinette in such an incredibly precise way that all those who smelled it involuntarily thought of the "widow Capet", the former queen of France, who lost her highly perfumed life in the turmoil of the French Revolution, which brought so much suffering to Europe but also its future.